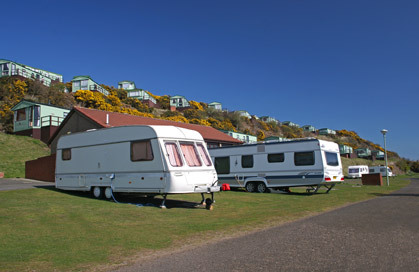 Sauchope Links Park (Crail) - Sauchope Links Holiday Park near Crail, is situated along the sea shore. 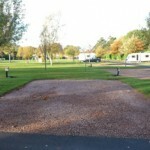 Sauchope Links Holiday Park lies to the north-east and within walking distance of Crail. The ancient and charming town, with its steep narrow streets, harbour and sandy beach is a lovely place to see. The dolphins pay frequent visits to the shore as well! Craigtoun Meadows Holiday Park (St. Andrews) - Welcome to Craigtoun Meadows Holiday Park, holders of the Scottish Tourist Board 5 Star award just 1.5 miles from the heart of St.Andrews.Our park has a restuarant, launderette, Indoor games room, large childrens play park, ponds and a woodland walk. Pettycur Bay Holiday Park Ltd (Kinghorn) - Pettycur Bay Holiday Park is situated between Burntisland and Kinghorn on the South coast of Fife in Scotland. Our unique location affords simply magical views across the Firth of Forth towards the City of Edinburgh.